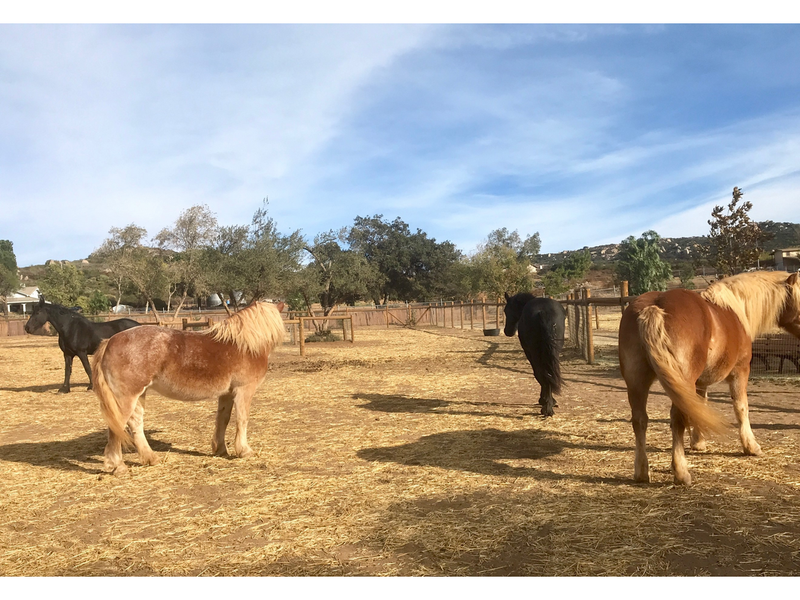 Yippee, our new Haflinger horses (brown with cream manes) are now part of the herd! 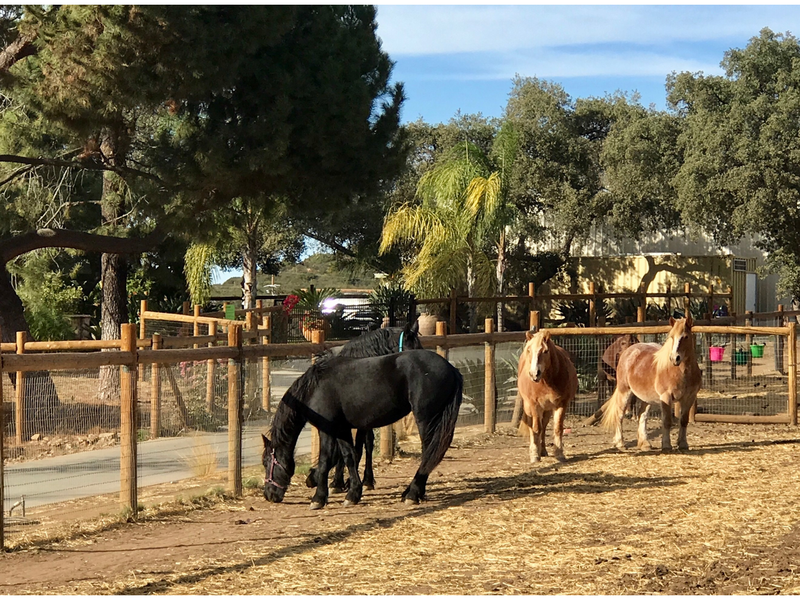 After 3 weeks of being in the next pasture, eyeing our established herd of horses and mules – the 2 new Haflinger horses made the “jump” to share a pasture with the other horses for the first time today. They are doing great together… it is always worrisome when you introduce animals. So glad they are getting along!